Bitrush Coupon: Get 1% off on every cryptocurrency order in April 2019. 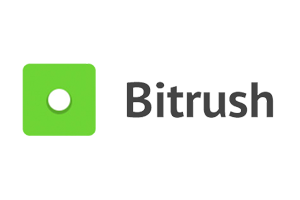 Bitrush is a Dutch broker who sells cryptocurrency with popular payment methods. It’s especially popular in Europe, but is rapidly expanding to other continents. Currently, Bitrush has five different cryptocurrencies in the assortment, which you can buy or sell: Bitcoin, Bitcoin Cash, Litecoin, Ethereum and Litecoin. Prices are continuously adjusted to the market price, so you always pay the right price. With our unique discount code, you get an additional discount on top of the sharp prices. This way you can save a lot of money when buying cryptocurrency. As you can see, when buying large volumes you can save a lot of money. How to validate the Bitrush Coupon? It’s very easy to apply the code. The discount is calculated and applied immediately.